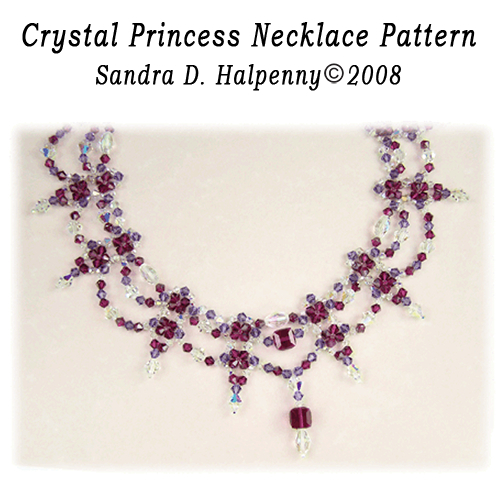 The Crystal Princess Necklace Pattern is made completely with Swarovski Crystals and is a perfect necklace for the holidays. It can be made as shown as a regular necklace or shorter to be worn as a chocker. It turns out beautifully, with lots of sparkle and is a real show stopper. 9 pages, Step-by-step directions.